Auction to be held on Saturday 23rd February 2019 at 10:45am. Do you want a home close to great schools or public transport? Do you need low maintenance gardens, but still want room for a vegetable garden? 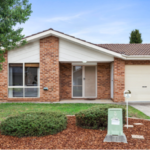 This address is situated in a quiet street close to walking and bike paths to the local shops, schools and playgrounds. Plus, a short distance to Gungahlin Pond if you like to take the dog for walks. This home opens into a great lounge room that flows through to the dining room, or maybe you could use it as a study space? The kitchen features gas cooking, easy to clean tiled splash back, bench seating for 3 and has a large pantry and plenty of cupboard space. The adjacent family room has a sliding door outside to the entertaining area, which has a very high pergola, so it doesn’t trap the heat and you can entertain all year round, plus plenty of room for a BBQ and pizza oven. The three large bedrooms all have built in robes and a sunny aspect. The bathroom has a fantastic skylight for plenty of natural light, a bath, shower and a separate toilet. Down the hallway is a laundry with plenty of room for both a washing machine and dryer and a cupboard with heaps of shelves. 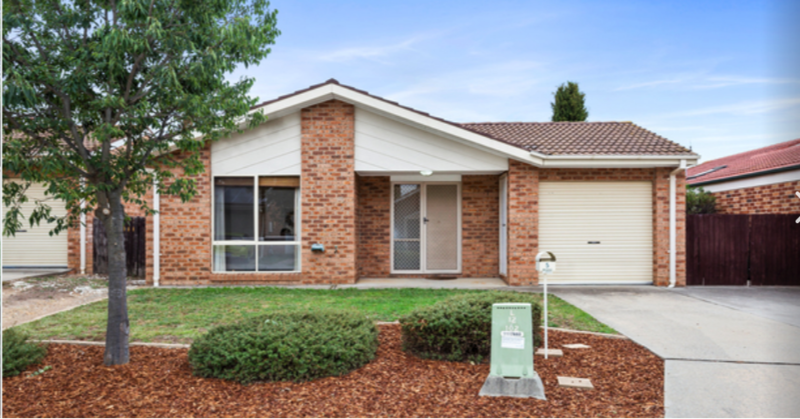 This neat and cosy home is a great opportunity to start or down-size and is well situated in a great suburb.